Not only has he failed to protect the NFL, but he has failed all of its fans, despite his promise to “do better,” after the Ray Rice elevator video surfaced last year. It’s been less than a year since that statement was published, and not only has Goodell failed to “do better,” but it is possible the league has taken a step back since then. 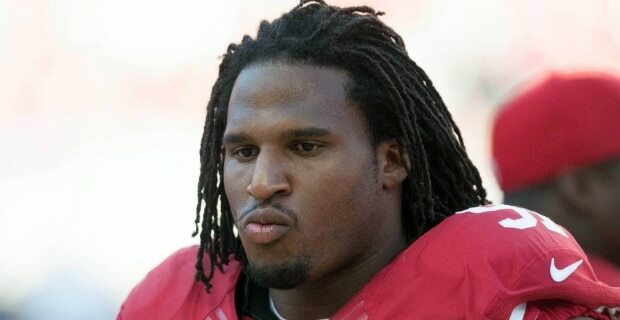 This is Ray McDonald's fifth arrest on charges of violence against women. Fifth. One more time: fifth. Again, how still in the league? This means the Bears signed him knowing he’d been arrested four times already. Granted, McDonald wasn’t officially charged in the first two cases, as the police didn’t find enough evidence to do so. But where there is this much alleged smoke…fire must exist somewhere. And in this latest case, McDonald allegedly assaulted a woman who was holding a baby, per Peggy Kusinski of NBC Chicago. The sickest part of all this is that Chicago didn’t even bother investigating any of the previous claims, other than to speak to McDonald and take his account on the matters as gospel. Bears chairman George McCaskey had a ridiculous—nay, asinine—reason for approaching things the way he did, too. Reading this, one can’t help wondering if it is appropriate to laugh hysterically at this statement or curl up in a ball crying. Not only did McCaskey essentially throw the alleged victims under the bus, but he then said the NFL is committed to making a difference when it concerns domestic violence. Based on what we’ve seen over the past year, nothing could be further from the truth. Not only did the Bears fail on a truly epic level to “make a difference,” but Goodell’s office has continually remained silent about the entire affair. And it’s not like the Bears are alone in their hypocrisy. The Seattle Seahawks selected Frank Clark this spring with their first draft pick, despite the fact that Clark was kicked off Michigan’s football team after he allegedly struck his then-girlfriend Diamond Hurt so hard she went unconscious. Police records illustrate a brutal assault, and multiple witnesses back that account up. However, the prosecutor in the case didn’t think Clark hit the woman and let him plead a lesser charge that ultimately constituted a veritable slap on the wrist. This, despite the fact that general manager John Schneider has stated in the past that no players who “struck a female or had a domestic violence dispute” would be allowed on the roster. Yet since that statement in 2012, Seattle has brought in six players with domestic violence or sexual abuse histories, per Deadspin’s Barry Petchesky. Making matters worse, the Seahawks, just like the Bears before them, didn’t bother investigating the matter any further than to speak to Clark about it. Apparently it’s ok to take the word of the alleged aggressor, rather than actually looking into the accounts of those who were allegedly abused. Players who can make impact plays are seemingly always given the benefit of the doubt. Who cares about the alleged victims who likely will need years of counseling to get over their alleged assaults? Goodell must agree with this assessment, because he and his office have been absolutely silent on both counts. The league needs to take an unyieldingly strong stance against not only those who are accused of such atrocities but also against the teams that harbor them. If Goodell truly wanted to “do better” when it concerns domestic/sexual violence, then he would mandate stiff punishments on those teams that continue to hire players who have a history of these crimes, alleged or otherwise. But still the league remains silent. 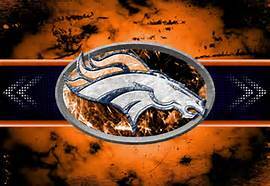 Goodell continues to fail “the shield,” along with every NFL fan who cares about domestic violence. He spits in the face of every victim with his silence. He craps on the shield with his lack of action. And he marginalizes the alleged victims in the process. 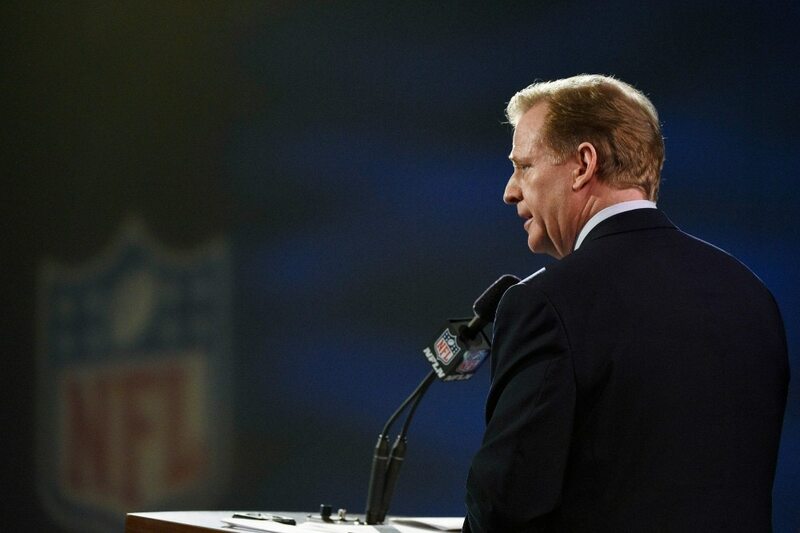 Goodell has failed, on so many levels, to take domestic violence seriously. And it’s time for him to answer for his inaction.